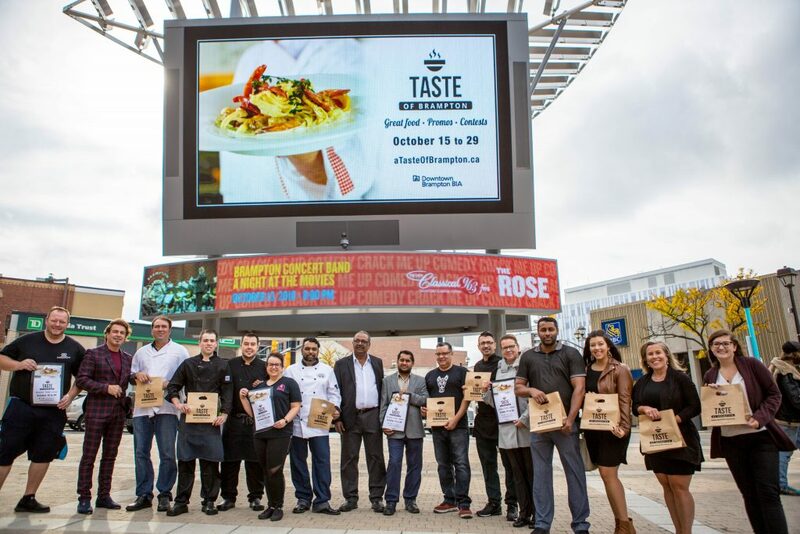 HomeDBBIA EventTaste of Brampton returns for two weeks of tasty menus Oct 15-29! Taste of Brampton returns for two weeks of tasty menus Oct 15-29! Brampton, Oct. 11, 2018 – The Downtown Brampton BIA (Business Improvement Area) is pleased to present the Taste of Brampton will launch on October 15-October 29 for two weeks of delicious dining. Taste of Brampton is a culinary event that showcases some of the top dishes in Brampton. From prix-fixe menus, to special offerings, Taste of Brampton presents a dining option for every guest. A returning favorite (sampler plates) will be back at restaurants including Fanzorelli’s Restaurant and Wine Bar, Bucatini Restaurant and Wine Bar, and Carve on Lot 5. For guests looking to explore some of Brampton’s most popular foodie spots, Taste is the perfect opportunity to try something new with discounted pricing offered during the two-week promotional period. Leave the cooking to the chefs for two weeks, and you won’t regret it.